Joyce has more than 20 years of experience with specialties in therapeutic recreation, psychiatric rehabilitation, behavior management and dementia training. 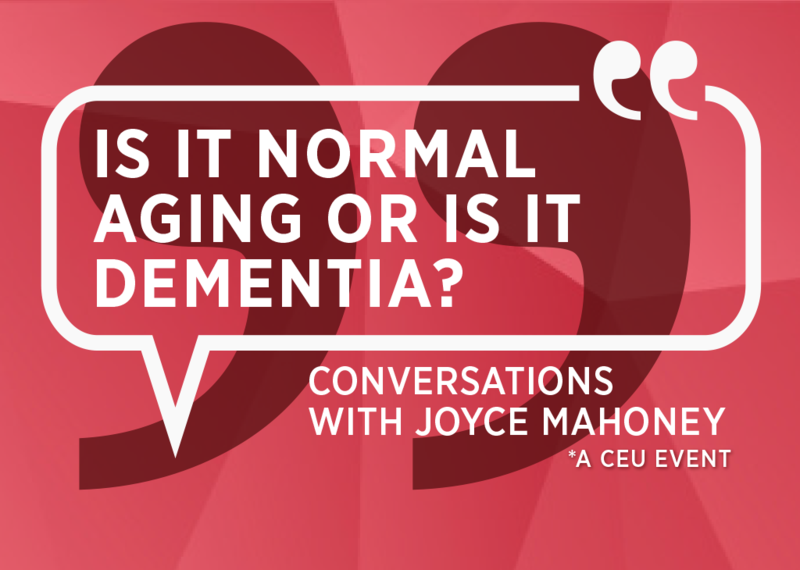 Join us for an informative discussion focused on understanding the differences between dementia symptoms and normal aging. Joyce will also give an overview of Belmont Village’s Whole Brain Fitness approach to programming and our award-winning Circle of Friends memory enrichment program. *Participating LCSWs and RNs will be eligible to receive 1 CEU at the completion of this program. CEU certificates will be provided by Metro Dallas Aging Solutions.